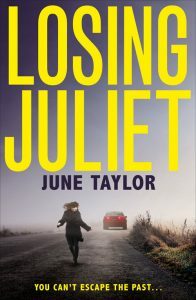 As it gets nearer to publication, Leeds author June Taylor reflects on how it feels to finally get her debut psychological thriller, Losing Juliet, published as an ebook by HarperCollins Killer Reads. So there’s a cover now for Losing Juliet. With just over a month to go, it’s starting to feel real. For me, it’s been a very slow process. I’ve had three agents, been runner up in a major writing competition, had my picture in the Times newspaper as an author of the future (that was in 2011! ), invited into the offices of two major publishers (yes, in London!) and still not got the deal. I have so many rejection slips I could wallpaper my whole house, and next door’s probably. So any writers still chasing this dream, keep going. My story is very typical. The trouble with getting success at this point in my life is that some of the special people are no longer around. One big influence on me was the much-missed Patron of Script Yorkshire, David Nobbs. I help run Script Yorkshire and being on the Board I had the privilege of getting to know David. We became friends. One of the last conversations I had with him was about his novels, and he asked how mine was going too. He always wanted to know what other writers were doing, always took an interest no matter what level you were at. I wish I could have shared my success with David Nobbs, and with family members no longer here. Without them I probably wouldn’t have carried on writing and never got to this point. So just keep going, but work hard. It doesn’t get any easier! You can read more about June and Losing Juliet here. Losing Juliet is published by HarperCollins Killer Reads. Available on Amazon as an ebook, 25 November 2016. Print-on-demand paperback, 12 January 2017. You can contact June via Twitter @joonLT or her website. 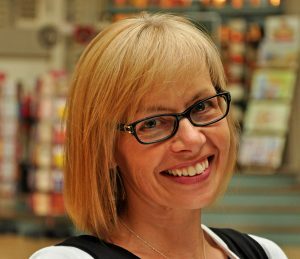 What’s “creative” about creative writing? 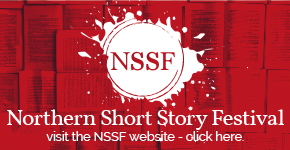 Northern Short Story Festival 2019 – Have You Got Your Tickets Yet?